This 60-minute webinar will feature Thomas Overbey, BS, CCSVP, Director of Marketing for Ultra Clean Systems. This multifaceted webinar is a reflection of you, the audience, who may work in various healthcare disciplines ranging from nursing to serving in the OR to sterile processing and infection control. This visually informative webinar will provide a diverse yet cohesive set of information through still-frame animation and clear, easy-to-understand images to show how and why ultrasonic cavitation is so important. 1. Explain the significance of cleaning before, during and after ultrasonic cavitation. With the support of great visuals comes great understanding. Through still-frame animation and graphics, an enhanced knowledge to support the proper and effective use of ultrasonic cleaning will be visualized. 2. Provide clarity with the newly released da Vinci robotic IFUs and cover some of the dos and don’ts of instrument cleaning. 3. Discuss the new AAMI ST79 guidelines regarding point-of-use, ultrasonic cleaning, and cleaning verification. About the Presenter: Thomas Overbey, BS, CCSVP. Overbey’s experience originated as media producer at the University of South Florida, College of Medicine, producing content for medical research and education. He has generated live and on-demand surgical procedures for peer-to-peer training and produced the first live surgical case on the iPhone. 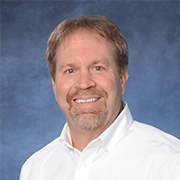 For the past five years, Overbey has served as the marketing director for Ultra Clean Systems promoting safe cleaning practices, and he serves as an advocate for connecting the OR to the SPD for maximum operational efficiency. He has presented numerous times at IAHCSMM conferences as well as presented at the inaugural OR Today Live! event in 2015.